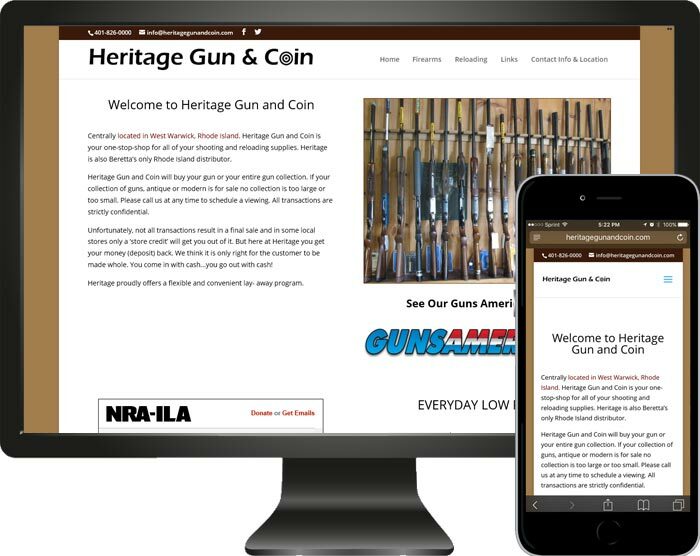 The folks over at Heritage Gun and Coin were in need of a web site for their new business. They wanted a site that conveyed their business/products and services to the web. We worked with them and gave them a responsive website that did just that. The site has their business info, pages that relate what they offer, map, a feedback form, link to their social media pages as well as a links to their available on-line inventory.